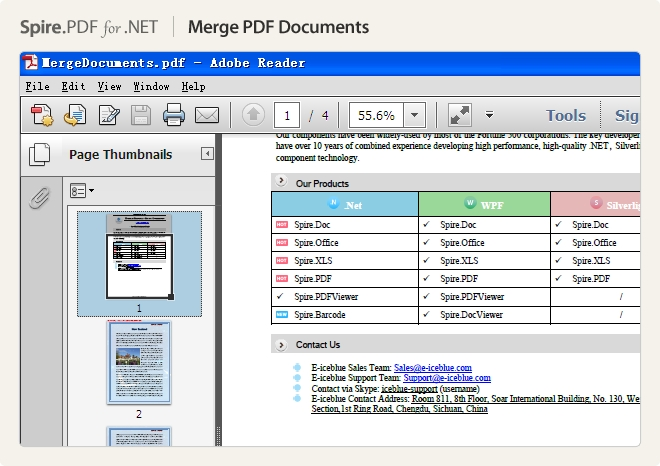 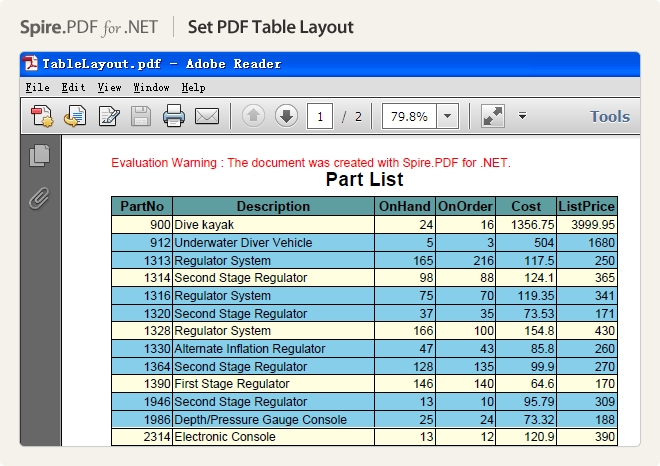 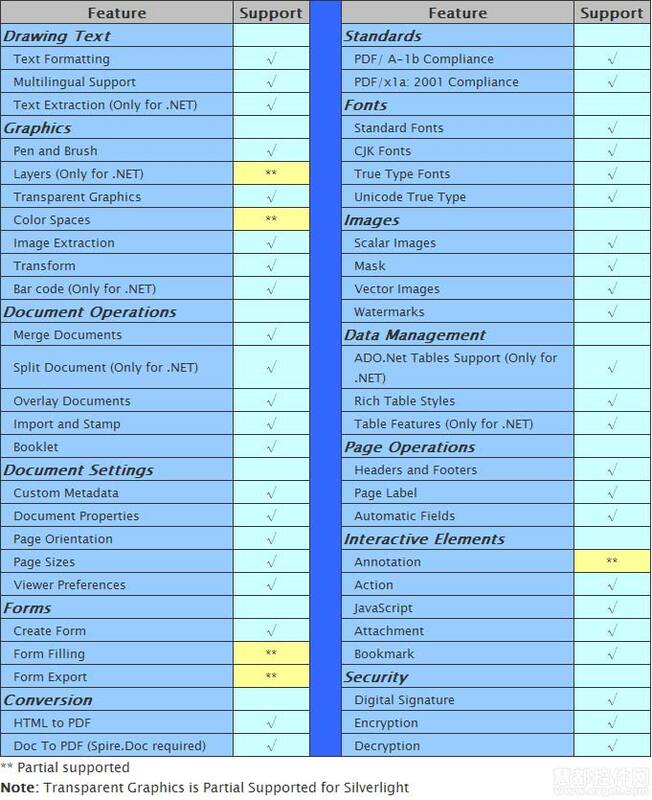 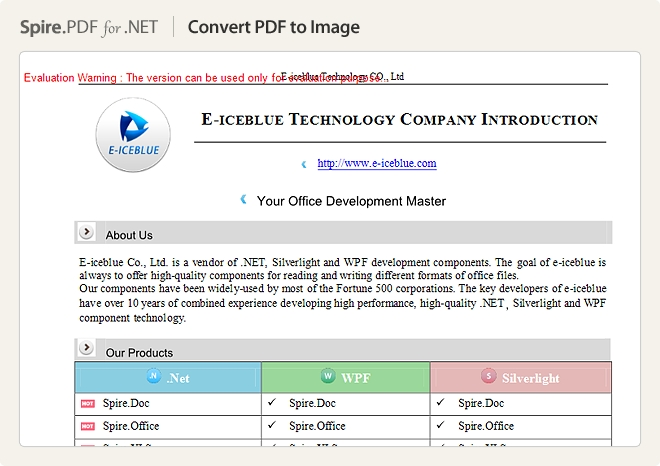 Many rich features can be supported by the .NET PDF API, such as security setting (including digital signature), PDF text/attachment/image extract, PDF merge/split, metadata update, section and paragraph optimizing, graph/image drawing and inserting, table creation and processing, and importing data etc. 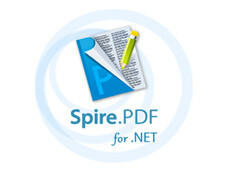 Besides, Spire.PDF for .NET can be applied to easily converting Text, Image and HTML to PDF with C#/VB.NET in high quality. 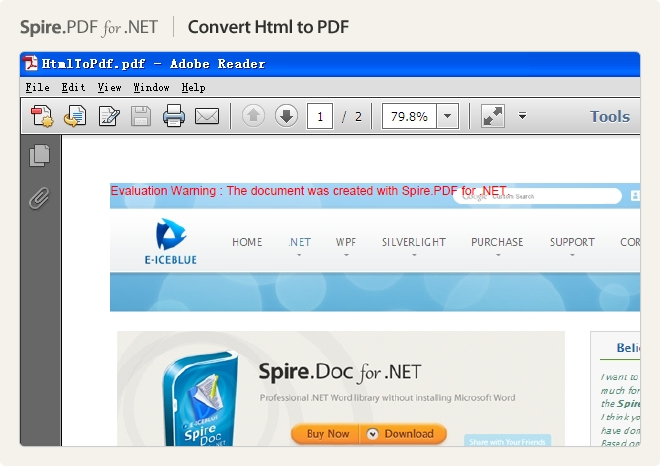 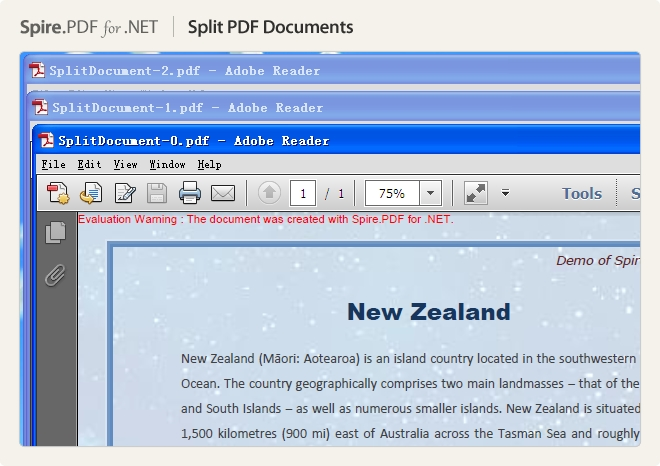 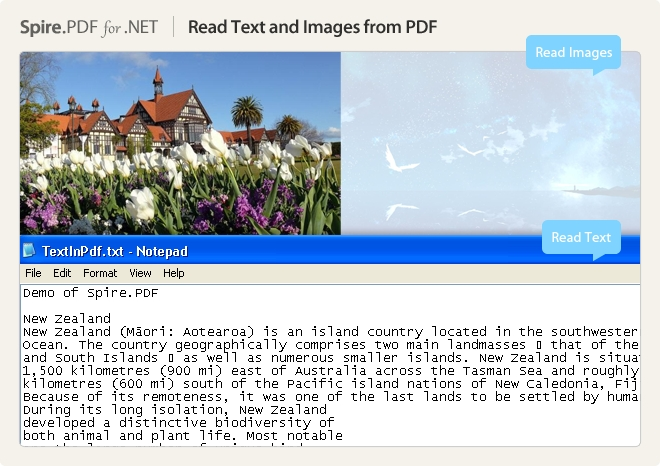 Spire.PDF for .NET supports converting HTML, RTF, XPS, Text and Image to PDF documents with efficient performance. 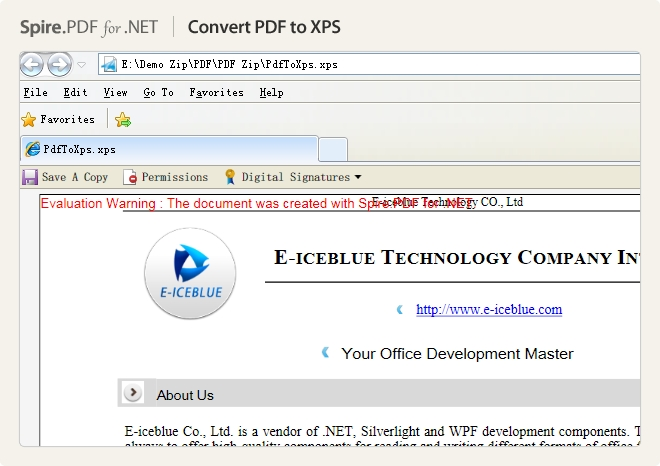 Developers can transform PDF to XPS, EMF, JPG, PNG, BMP, TIFF, Text format. 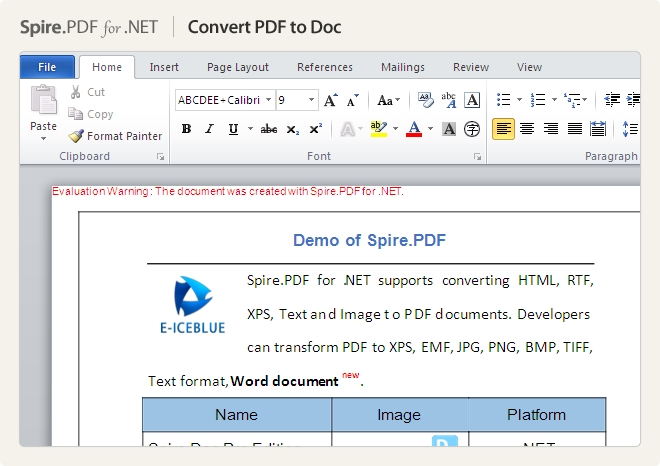 Furthermore, along with Spire.Doc for .NET and Spire.XLS for .NET, developers can convert Word (Doc/Docx), Excel (Xls/Xlsx) and XML to PDF.